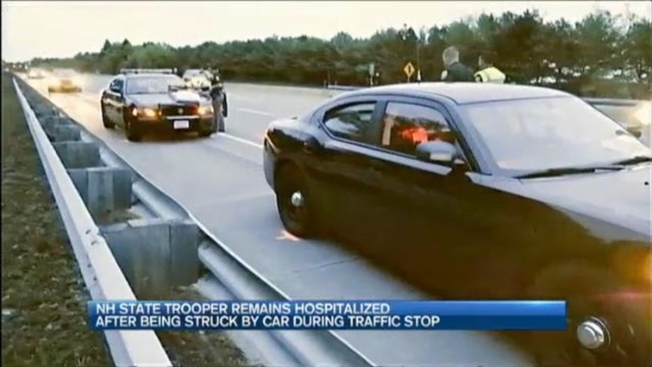 Police say a New Hampshire state trooper who was injured in a hit-and-run accident is recovering at a hospital. Police say the trooper, identified as Ryan Hickey, was hit during a traffic stop Sunday morning on Everett Turnpike, in Merrimack. He was standing next to his cruiser. Police say they have a person of interest in mind and have taken possession of the vehicle believed to have been involved in the crash. No one has been arrested. 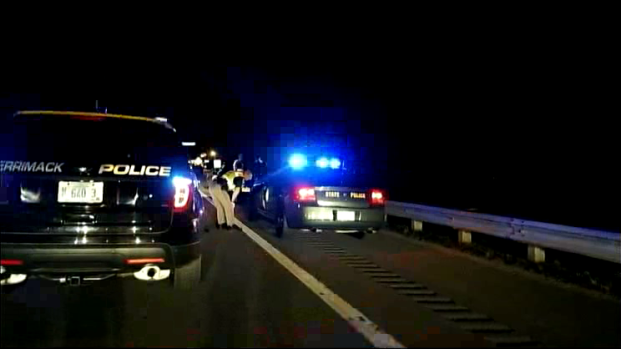 Authorities say a New Hampshire state trooper is lucky to be alive after he was hit by a car during a traffic stop. The vehicle is a light colored Chevy Trailblaizer with damage to the passenger side mirror and front passenger window. Hickey has been with the state police for a year. He previously was an officer in the Derry Police Department.